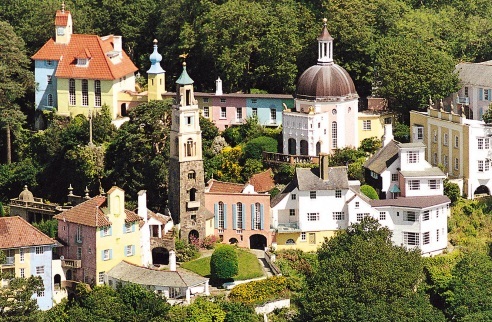 Portmeirion is one of Wales’ premier visitor attractions. It is an Italianate Village of great architectural significance which welcomes around 225,000 visitors per year. It is also famous for being the setting for television show “The Prisoner”. Portmeirion Ltd wanted to explore the opportunities to heat the whole village from a centralised Biomass Energy Centre, but with no adverse affect to the delicate building fabric, architectural value and aesthetic quality of the buildings and grounds comprising the village. Sustainable Energy was appointed to provide full detailed design, contractor selection, act as Principal Designer and Project Manager for implementation of the project. 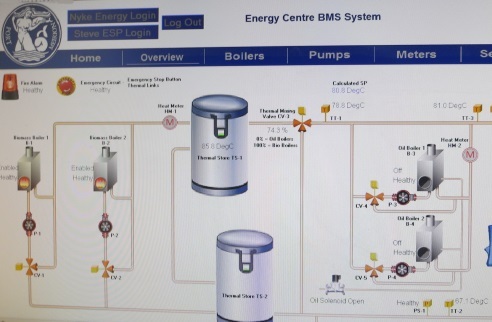 Sustainable Energy developed a detailed design for the Biomass Energy Centre, the 1.75km district heating network and the integration work required in each building in order to allow connection to the biomass heating network; this included specification of Heat Interface Units in a number of properties. 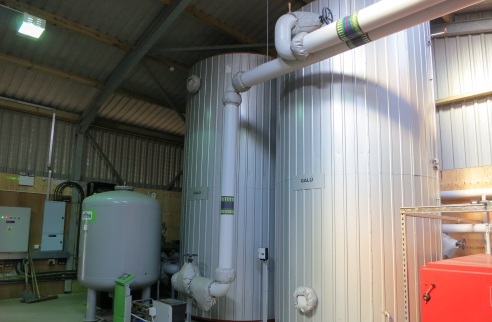 Sustainable Energy then assisted the Portmeirion management team to procure the necessary equipment and services and provided support throughout installation and commissioning of the biomass heat network and managed the RHI application process. Portmeirion Ltd employed local companies and Sustainable Energy provided design and technical support to the contractors and site presence to oversee and ensure best practice was achieved. 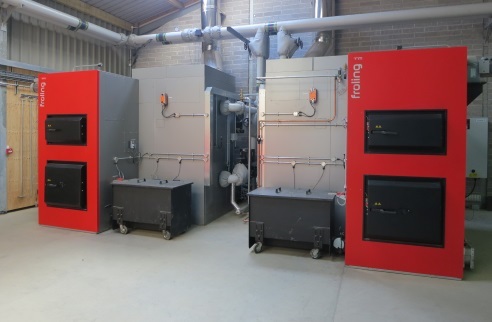 The Sustainable Energy solution comprises a centralised energy centre with 2 x 500kW biomass woodchip boilers and 35,000 litres of thermal storage; two oil boilers are configured to supply back up and auxiliary heating. The Energy Centre distributes heat to two networks zones; one supplies the main Village comprising 26 buildings including the hotel; a second network zone supplies the Castle and surrounding buildings. The heat network consists of approximately 1.75km of underground pre-insulated heating pipe. The network runs from the Castle to the north of the site which is 50m above sea level to the Hotel at the south of the site which is at sea level; this required intelligent design of the distribution system and controls to ensure efficient heat distribution.